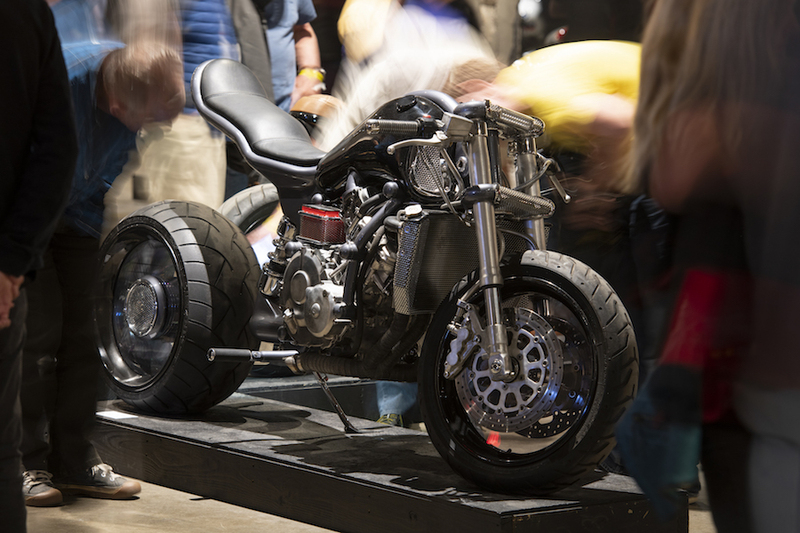 The Handbuilt Motorcycle Show in Austin, Texas is a custom bike show staged every April that attracts builders of every persuasion from all over the USA and as far away as Japan. 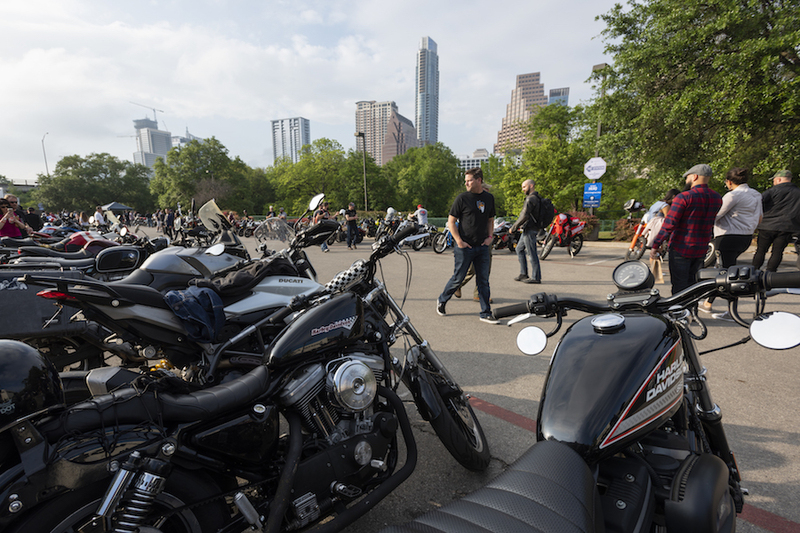 Now in its fifth year, it is the brainchild of Austin-based shop Revival Cycle, which hosts it every year and worked hard to ensure the 2018 event was the best yet. 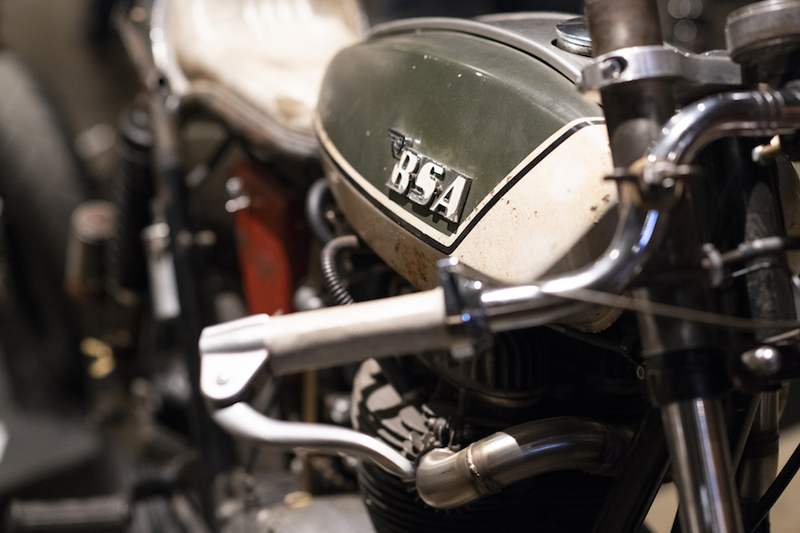 All year they keep an eye peeled for the finest handmade bikes out there, and extend an invitation to the builders to show them at Handbuilt or, better yet and what many seem to do, build a bike to be unveiled at the show for the first time. Compared to other shows, Handbuilt is the most diverse I know of, with so many different brands represented. Anything and everything, from antiques and long-defunct brands to Lock Baker’s custom all-American Motus and everything in between. 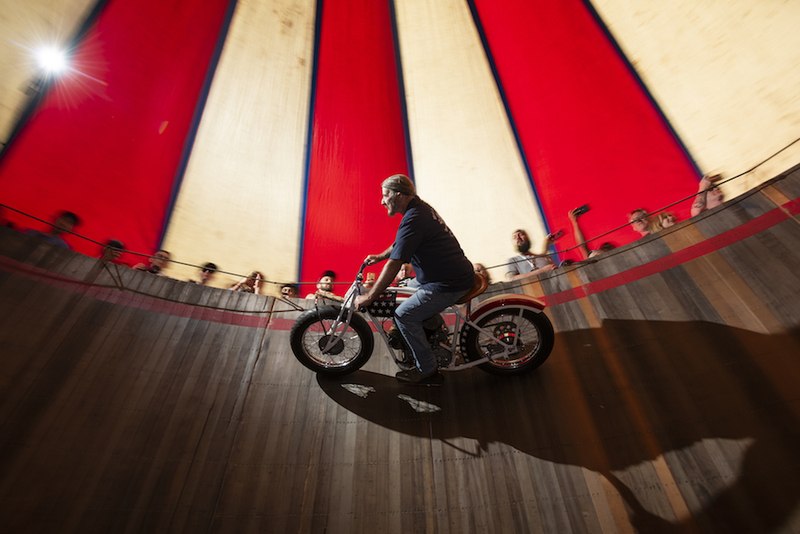 As long-time readers of AMCN will know, I usually move in custom V-twin chopper circles, but this show gives me a chance to see what else is out there and to learn things about motorcycles I had no idea existed. It stretches my grey matter, which is a really good thing in this day and age. This may not work for everyone, but it sure works for the 150 participating builders, who have spent a lot of time and hard-earned money to get to Austin. And it sure as hell works for the 30,000-odd visitors who pile through the doors. 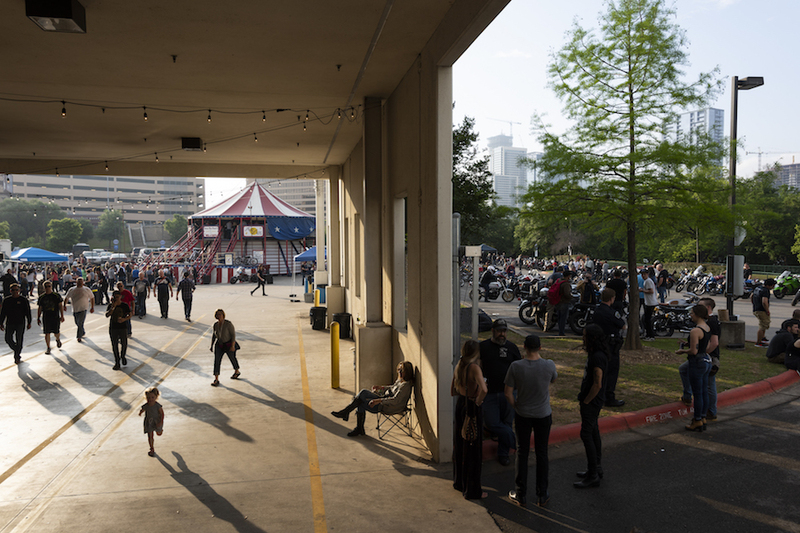 The show is now hosted at the Austin American Statesman, an old newspaper printing plant, where it moved to after growing success forced it out of the original but considerably smaller elbow-to-elbow Fair Market location. 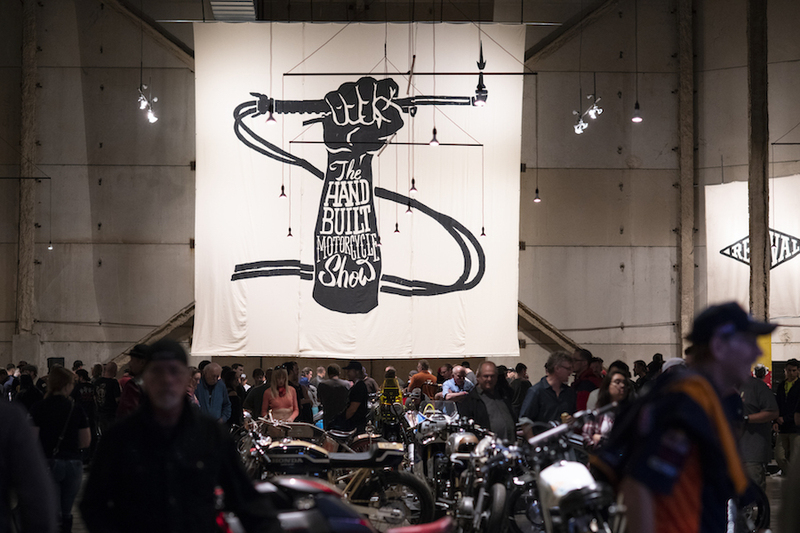 These new digs give enough room to breathe, as well as allowing more bikes and visitors to take advantage of the event, and from what I understand it may even allow the show to grow bigger next year. Diversity isn’t the only thing that sets Handbuilt apart from other shows. 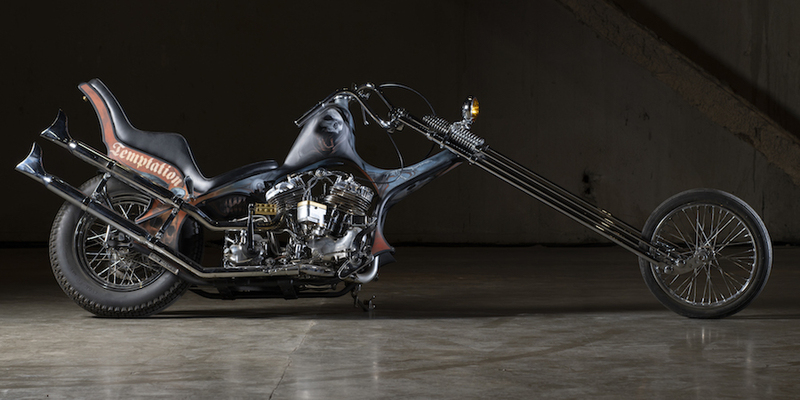 With a high bar of quality, creativity and uniqueness maintained by strict standards of the jury – and by this I mean the team at Revival Cycles, headed up by Alan Stulberg and Stefan Hertel – you can count on being amazed time and time again. 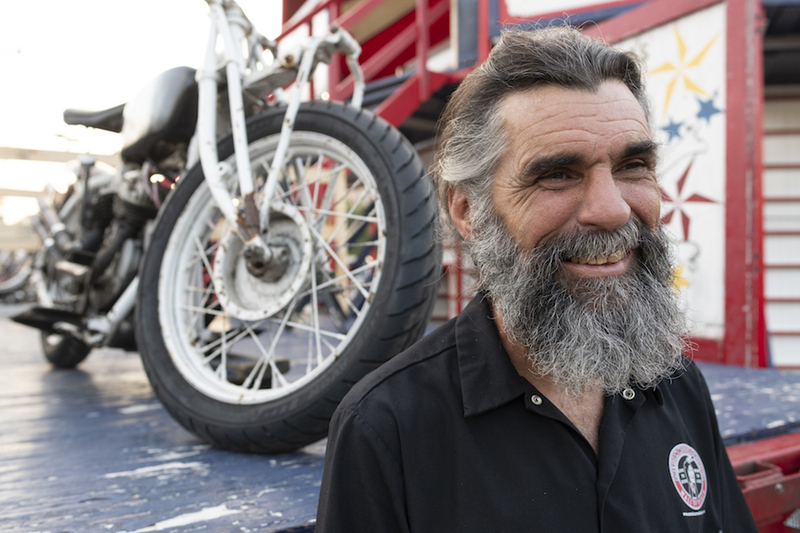 Probably the most dazzled were the builders themselves, as exemplified by the very technically minded Lock Baker, who spent much of his time on his hands and knees looking under the bikes – in their engines, under the skins – and constantly being wowed by what he was discovering. 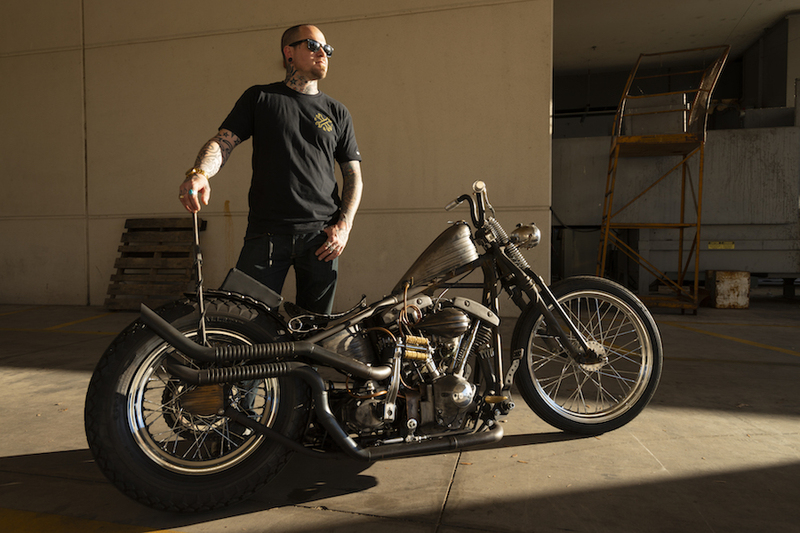 And, it should be noted, plenty of other builders did the same thing with Lock’s own high-tech 100 cubic-inch four-cylinder 185hp Motus chopper, the new all-American production motorcycle. Handbuilt is definitely geared toward bikes that would be fun to ride, and with that there were plenty of sport-styled bikes. It is also a show that welcomes builders to produce something quirky they’ve been thinking about showing, as it was for many. 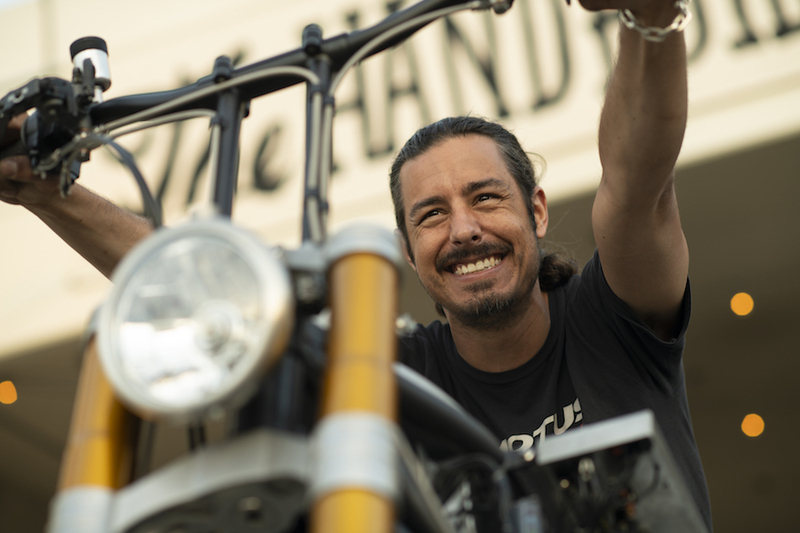 A good example was Jeremy Cupp, who stepped out with a carbon-fibre 883 Sportster Enduro – just so that he could learn how to better work with this strong woven material. Hazen wanted to turn the KTM into something beautiful that could have come from the factory and would be fun to ride. 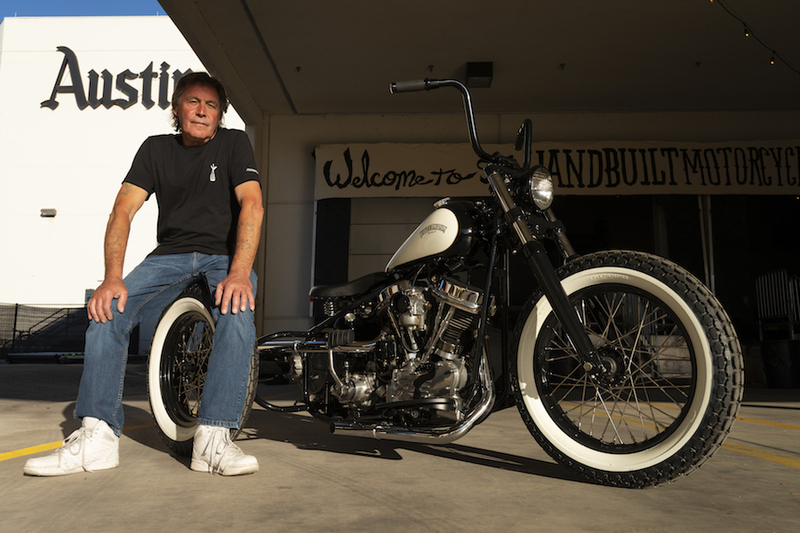 He achieved this by keeping the super-torquey 942cc 75-degree V-twin engine, relocated parts, made the fuel tank a stressed member, and hand-fabricated almost everything else. This lopped off a considerable 50kg of fat from the stock bike along the way. Another builder I was very impressed with was American-based Aussie Craig Rodsmith. 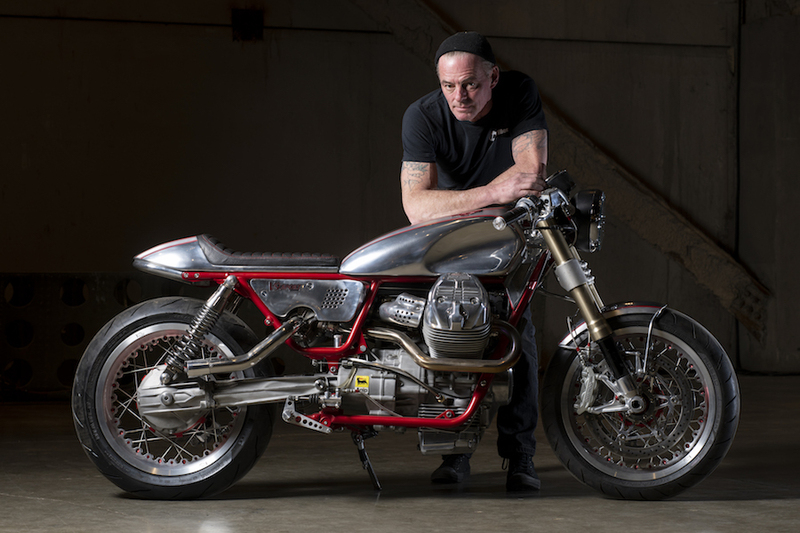 Known for his incredible metal-shaping skills, Rodsmith stayed true to form with his bare-metal Shovelhead in a Ducati frame and with hand-formed bodywork. Also on display was his Moto Guzzi (AMCN Vol 67 No 17) that was equally as special and made him one of very few builders who was allowed to display more than one machine. There were tons of very cool bikes to interest chopper enthusiasts with a more focused vision. 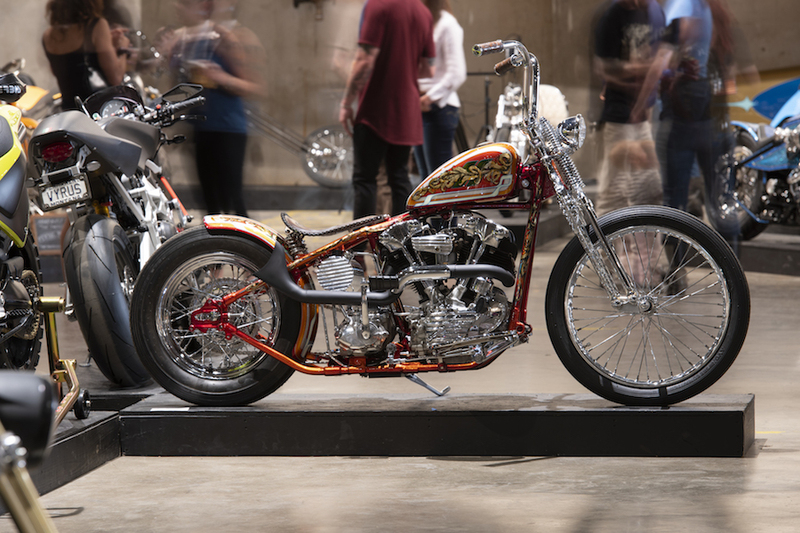 Choppers like Matt Jackson’s ’50 Panhead, Josh Allison’s naked ’75 Shovelhead, Joey Cano’s ’56 Pan, Billy and Harley Guthery’s ’40 Knucklehead, and Aki Sakamoto’s ULH Flathead called Temptation, which was so long it had to be displayed against a wall to keep people from tripping over it. Billy Guthery and his son Harley turned out this custom 1940 Harley-Davidson Knucklehead from their father-son Guthery Customs shop in Edmund, OK.
Allison had an interesting take on the chopper guys being at a show like this, saying: “I recommend the Handbuilt to other chopper guys, even though most of the bikes aren’t choppers, but as a chopper guy, your bike can really stand out. Amazing indeed. There were way too many customs to name that knocked my custom-loving socks off, so I’ll let the photos speak for themselves as to the quality on display. And just a few miles down the road, on the very same weekend, the American round of MotoGP is held at the Circuit of The Americas. 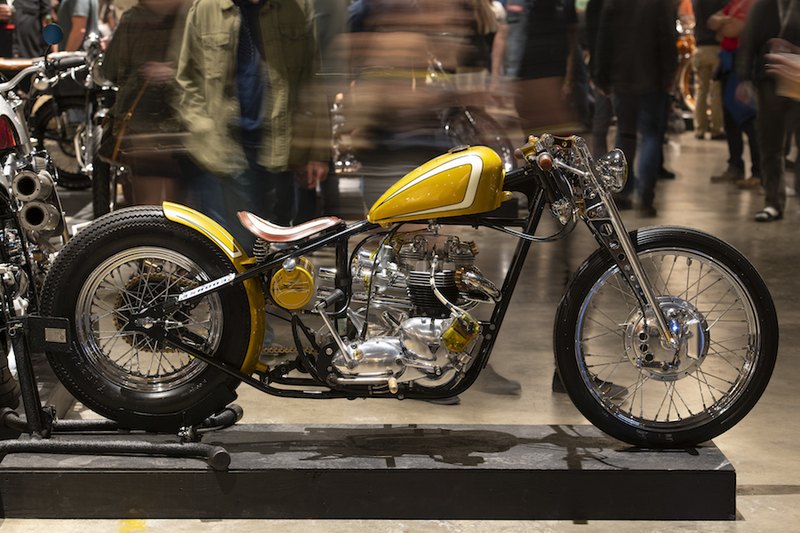 So no matter what side of motorcycling you come from, you’ll find plenty of eye candy when you visit Handbuilt. Put it on your calendar for next year.